Ant-Man’s corner of the MCU continues to be the comedic one, his second one even more so than the first. The first round of kudos goes to the actors. Paul Rudd and Evangeline Lily obviously take center stage, and they play perfectly together, both in terms of levity and the more sober moments. Their characters have such great chemistry, and the connection between the two feels more genuine than they were afforded in Ant-Man, which makes perfect sense. 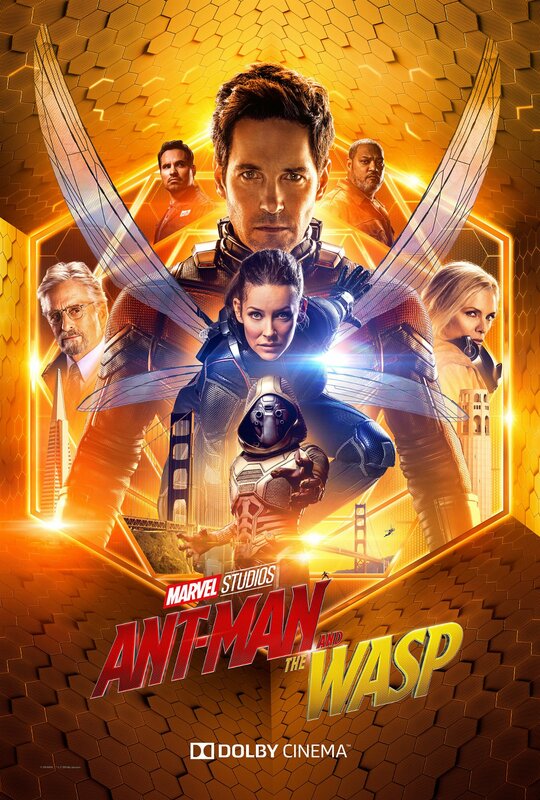 The first movie was primarily about the old and new Ant-Man, Scott Lang and Hank Pym, while this one was about Scott and Hope Van Dyne. Of course, as great as they are, they’d never be able to carry the entire movie alone. Most of the original cast returns and reprises their roles as their characters move forward with their lives. Michael Peña is not only comic relief, but also leads his fellow ex-cons from the first movie now as they run a security company. Abby Ryder Fortson is brilliant for her age as Cassie, Scott’s daughter, a surprisingly strong support, and whose parents are much nicer to Scott now. Michael Douglass naturally returns as Hank Pym, perhaps even more crotchety than he was before, but he’s also a man hoping to put his family back together. And there are some new additions! Laurence Fishburne debuts in the MCU as Bill Foster, a previous peer of Pym, capable of standing toe-to-toe with Douglass and (REDACTED TO AVOID SPOILERS). Then there’s Hannah John-Kamen as Ghost, one of the most sympathetic and human villains to grace the screen, being ferocious and powerful but also vulnerable and in desperate need of help. Finally, there are the feds and the criminals who manage to complicate things at every turn, often to hilarious effect. Basically: wow, these people are good at casting! Really good! Of course, the actors can only work with what they’ve been given, and they were given some pretty good material. In a series of movies that has often been about saving the world, Ant-Man has mostly been trying to save something a good deal smaller. In this case, he’s just trying to hold his life together while doing right by his family and friends, who are very much trying to do the same thing. Even their most powerful and dangerous enemies are fighting to preserve a life. It merely happens that their agendas collide with each other, and the local thugs and feds, as I said, keep complicating things. 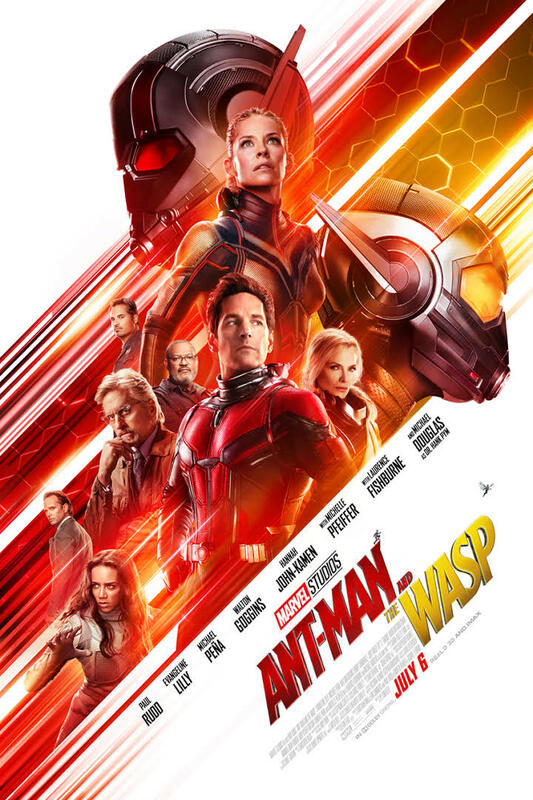 In short, Ant-Man and the Wasp is a hilarious, heartwarming, and family friendly superhero romp with excellent acting, writing, plot, characters, theme, stagecraft, and a whole lot of laughter. This entry was posted in Movies, Tuesday Review and tagged Ant-Man, Ant-Man and the Wasp, Marvel Cinematic Universe. Bookmark the permalink. It’s a fun movie to say the least. Nice review.